Chef Sara Moulton and Denise Gardner. Photo Coutesy of WPSU. 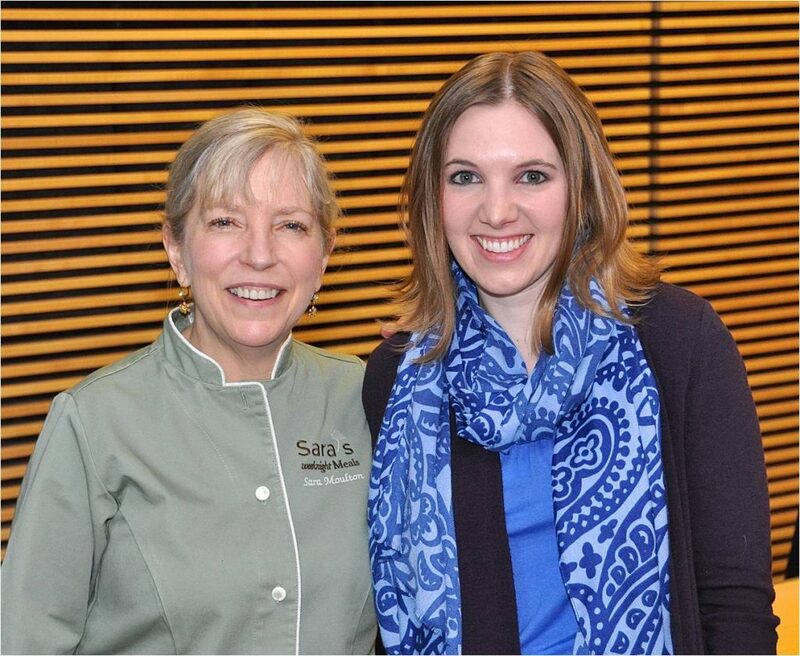 In 2013, I had my first exposure working with culinary icon, Sara Moulton during the 21st Annual Connoisseur’s Dinner Benefit hosted by WPSU. 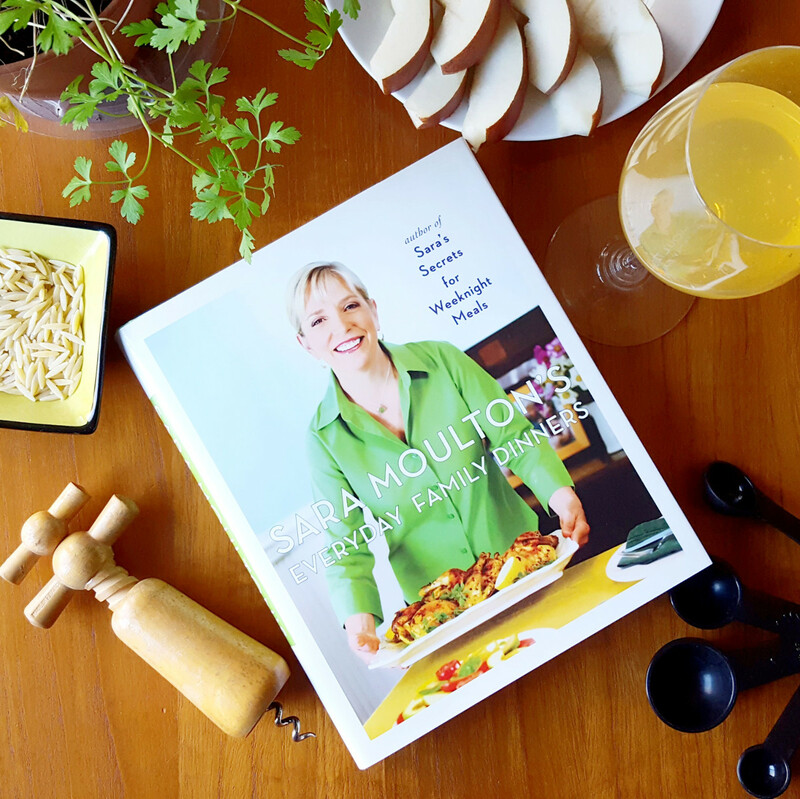 Sara is a legend in the food world: a protégée of Julia Child and a welcoming TV personality to many women. When I found out I was speaking alongside Sara, I have to admit I was quite intimidated. This was an accomplished, multi-authored, culinary professional. I was young and did not yet have any formal sommelier training at that time. During this event, I was actually filling in for the gentlemen that selected the wines for the dinner. Nonetheless, I reviewed the menu and wine selections, and put together a set of thoughts to entertain dinner guests alongside Sara. The dinner theme of the evening, “A New York Night,” featured themed meals associated with the local flavor of New York City including lox and cream cheese stuffed peperoncini, mini Reuben sandwiches, Manhattan clam chowder, steak Diane, and warm ginger doughnuts with brandied hot chocolate all selected by Chef Sara Moulton. While Sara spoke towards the meals and the reasoning behind her selection in relation to the evening’s theme, I was granted the opportunity to talk towards why each wine made a great pairing with each course. Be prepared to be hungry (and thirsty!) by the end of this post. Every-Day Wine Lover (EWL) Explanation: While the white wine is a mouthful to pronounce and the word is still out on how to best pronounce ‘Shiraz,’ (which is the same grape as Syrah) both of these wines are easy-to-drink. Garnacha Blanca is a Spanish unoaked Chardonnay style-wine produced from a native-Spainish grape variety, Garnacha Blanca. Alternatively, Shiraz is the variety name most associated with Australian Syrah. From a drinking perspective, this information translates into: both of these wines are going to be yummy. More Detail: Appetizers and hor d’oeurves are difficult to pair perfectly with wine, especially if there is a wide range of food options. While many people may eat the hor d’oeurves, there’s going to be guests that do not. Finding a wine that can be enjoyed without food is definitely a priority during social events such as cocktail hour. Wines that are approachable, easy-to-drink, and have some essence of fruitiness end up being large crowd pleasers. Given where these wines were grown and produced, both promise to deliver fruit-forward or opulent fruity flavors. Additionally, acidity is probably well in-balance, and as many American consumers prefer a moderate level of sourness when it comes to wine, these are likely great wine choices. EWL Explanation: Salad, with a creamy, fatty dressing, can typically be paired with an unoaked white wine. More Detail: From a theme perspective, Fumé Blanc is incredibly American – just like NYC is an American icon. The history of Fumé Blanc rests with Robert Mondavi who wanted to find a way to market and re-brand his California-produced Sauvignon Blanc during the 1970’s. The name, Fumé Blanc, is actually a play on words from the French name for Sauvignon Blanc, Blanc Fumé. Stylistically, he also introduced some minor oak aging into his Sauvignon Blanc and this stylistic trend caught on with other California wineries. While I’m always hesitant to pair still white wines with salads, there are definitely times when the two pieces can work magically together. The key, I think, in this course is the creamy, lemon dressing. It’s provided some fattiness to the salad that can be supplemented with the crisp, citrus nature of Fumé Blanc well. EWL Explanation: Everybody loves Riesling, and the New York Finger Lakes is a region well-known for its Riesling production. Remember the dinner theme was “A New York Night,” and bringing in a recognizable New York wine producer was a great choice! More Detail: To be honest, grabbing an aromatic white wine was not an obvious wine choice for me with this dinner pairing. However, when one considers what goes into Manhattan clam chowder: zesty tomatoes, onions, peppers, garlic, clams, starchy potatoes, and maybe some traditional soup spices like black pepper, parsley, thyme, and even rosemary, an aromatic and zesty wine – in its own right – doesn’t seem too far off from going with this soup. While acidity is retained in the tomato-base for the soup, Riesling is almost always a higher-acidic varietal wine. Like with sweetness, it is better for the wine to have the higher acidity to avoid tasting flat and flabby (like flat, uncarbonated soda) against an acidic food. The acidity, in this case, not only gives the wine life, but also elevates the flavors of the food. Additionally, I love the combination of warm soup against a chilled, white wine. These temperature changes are sure to capture the palate during the meal. Manhattan clam chowder smells like fresh tomato juice and seasoned stewed vegetables to me. The uplifting, fruity and highly intense nature of a Riesling will likely cut out some of the earthy, green nuances associated with the soup. I think these characteristics provide validation to the argument: opposites attract. In staying with the theme of the dinner, both the meal and the wine pairing are natural representations of New York, and I think they worked well together. EWL Explanation: Most people grab a red wine with a steak dinner, and this is no exception. Trade your traditional Cabernet with a lighter red wine, like Pinot Noir, which was the selection for this meal. More Detail: I actually love the use of a Pinot Noir with Steak Diane, believed to be originated in New York. Steak Diane is commonly cooked in the meat’s juices, making it tender and juicy. The addition of milky, cheesy Delmonico potatoes and shredded brussel sprouts with roasted chestnuts sides add some creamy, fatty, and earthy undertones to this dish that point directly to Pinot Noir for me. Pinot is loved or hated by many. It’s a complicated wine variety to produce, and how it is expressed as a wine is very dependent on growing region and production techniques. Left to my selections, I probably would have chosen a less well-known producer from New York, Canada or Michigan for this dish, but the Kim Crawford selection from New Zealand is a crowd pleaser. The wine holds some acidity, which is good for wine and food pairing, and exudes lots of fruity aromas that will counterbalance the heartiness of this course. It’s one of those wines that is hard not to like and a good starting Pinot Noir if you’ve never tasted Pinot before. EWL Explanation: The dessert wine must always be sweeter than the dessert itself. Opt for late harvest or fortified wines here. More Detail: The ginger flavor in the doughnuts is a great match aromatically to the Dolce Late Harvest wine. While I can just smell freshly warmed doughnuts with hints of ginger, fresh bread, and carmalized sugar popping from the oven, the Dolce Late Harvest is concentrated with honey, candied ginger, caramel, and dried wildflower aromas that are going to entice you to try both the doughnut and the wine at the same time. This pairing screams richness and decadence. At the end of the night, what matters most is that good wine and food was enjoyed by all. Each sommelier and chef are bound to come up with an infinite number of food-and-wine pairing combinations. The hope is that some of these pairings will create a memorable and magical culinary experience for each guest. For me, this night ended up being a key opportunity that would extend my sommelier studies. The best part was meeting Sara and sharing food and wine with her. Her impression of my professionalism and passion for wine led her to encourage me to “keep going” in this field. To this young 20-something, that moment was inspiring, and quite honestly, humbling. It was also another great example on how wine really can create magical memories and journeys for us all.